An estimated 500 Cubans in Havana are studying Mandarin Chinese in the Confucius Institute in an effort to master the language. The Chinese government has Confucius institutes in many countries all around the world. Government-funded, these institutes serve to teach Chinese language, Chinese culture, Chinese art, and Chinese history (albeit from the viewpoint of the Communist Party of China). 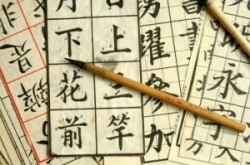 Those Cubans learning Mandarin is a growing handful of Cubans who are trying to learn the language for either higher learning in China or for possibly working in a Chinese company in Cuba. At present, English remains the most popular foreign language in Cuba. However, with China’s growing economic power, studying Mandarin is becoming the new language of choice for Cubans. This should come as no surprise. China is Cuba’s second largest trading partner only after Venezuela. Venezuela can provide Cuba with things like oil and natural gas, mineral resources such as gold and iron, and agricultural products. However, China, in terms of quality products, can provide Cuba with much more. It can provide manufactured goods from ordinary appliances to toys to cars and even heavy construction machinery at cheaper prices than Cuba could get from its other trading partners Canada, Mexico or the European Union. Another interesting phenomenon is the growing amount of tourism between China and Cuba. Flushed with cash, a growing number of Chinese tourists are vacationing on the island, and are finding that Cuba is a bargain compared with North America or Europe. Then there are the Chinese business people who are gradually coming to Cuba for building factories, cooperating with the Cuban government in mineral and oil exploration off Cuba’s coast, and trade representatives doing deals with Cuba’s growing private sector. All of this contact with China means that both Cuba and China need Cubans who can speak and understand Mandarin. Such people can form the nucleus of becoming translators, contract translators and readers, and people business personnel in any joint Cuban-Chinese ventures. And with China being the number two superpower, Cuba will most likely become one of China’s main bases of operation in both the Caribbean and Latin America. Since the United States is continuing its embargo against Cuba, the Chinese have a free hand on the island. So the next generation of Cubans may have a greater orientation towards Beijing than towards Washington, D.C. If so, then Cuba is far from being the only Latin American country that will be more influenced by China than America. A growing number of people in Venezuela, Bolivia, Nicaragua, and El Salvador now have as much trade with China as they do with the United States. America should wake up to the fact that its own “back yard” is being taken over.